Last week we debuted our new and improved project management tool, Viewpath 4.0, at the PMI Global Conference. It was my first time attending the conference - and what a great experience it was. We had a fantastic time catching up with long-time clients and friends and meeting a whole lot of PM professionals on the hunt for innovative project management solutions. We feel thoroughly inspired and encouraged by everyone who visited us and we're committed to doing all we to help PMOs eliminate the chaos of project management (our manifesto). I’ll be sharing more of my thoughts in the near future, but in this article I want to introduce you to Viewpath 4.0 and some of the most popular new features we've added. Viewpath 4.0 has a lot to offer, including enhanced calendar integration, deep Salesforce integration, and easy project scheduling features (check out this page for an overview of the product's best features). The two best-received upgrades at the PMI exhibition were the portfolio management features and the enhanced resource capacity planning features. 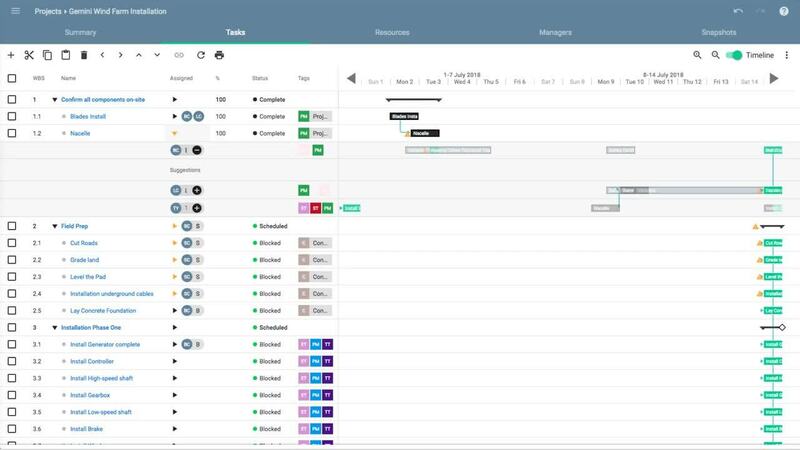 People loved the fact that Viewpath has powerful project portfolio management features on top of our (now even more intuitive) project management features. Having both project and portfolio management solutions in the same tool gives all stakeholders the level of visibility they need to optimize and measure project performance across the organization. Viewpath 4.0 enables portfolio managers to gather insights into the progress and success of various projects across the organization. Reporting dashboards are customized for various user license types so that project managers, team members and senior managers all have relevant reporting experiences. Visitors to our booth were also delighted to see that we have built out Viewpath’s resource capacity planning features. The platform has a new level of intelligence that recommends resources for tasks based on their previous experience and associated task tags. We have also made the capacity dashboards much more interactive, allowing managers to play around with scheduling and see how each resource’s time is affected.